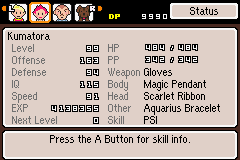 While I’m sort of on the subject, the past month I’ve been hard at work on a personal EarthBound blog called EarthBound Central. 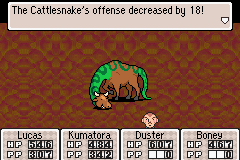 If you like the EarthBound/MOTHER games, you’ll probably love EB Central. I’m still putting some finishing touches on things there, but it’s been up for a few weeks now and it’s been a ton of fun. So check it out sometime! 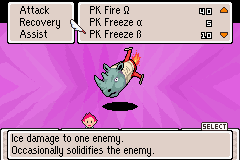 Getting back to MOTHER 3, a few things to report. 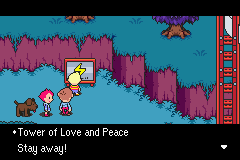 One thing that would be crazy not to mention is that the Brownie Brown president said he would love for overseas fans to play MOTHER 3 if Nintendo ever asked them to make a DS version. See here. Of course, that doesn’t really mean anything, it’s entirely up to Itoi and Nintendo whether or not to do any more with the MOTHER games. But it doesn’t hurt to pray. If, by some crazy chance, a DS version is made, I’d gladly let them have my text translation for free if it meant the game would be released in English too. The patch translations into other languages are progressing. Pretty much every team has hit that bump in the road where time and energy and motivation seem to disappear. It’s weird how it all happened at once for every team. Probably has to do with school though, I bet. Still, they’re making nice progress, just check out these videos from the Italian project: menus, battles Seeing these other translations makes me really happy. Also, there’s recently been another addition to the already huge list of other languages the game is being translated into: Malay. There isn’t a project site for it yet, but the Malay translation is rushing along incredibly fast. It’s crazy. 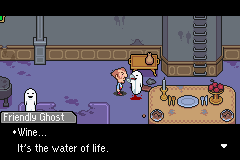 I’ve been working on and off on the MOTHER 1+2 translation lately. 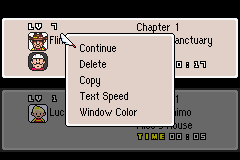 Soon I’ll be making fixes to the MOTHER 3 script for the next patch version, and so that the other language guys can start on the script too. I don’t know when the next version of the English patch will be out, though. I haven’t forgotten about the translation notes either. I’ll get to them at some point. Whew, so much to keep up with! 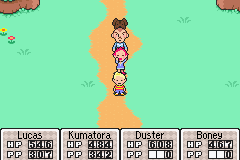 And now to end this with a really cool anime-ish version of MOTHER 3 stuff! Posted on Sunday, February 1st, 2009 at 3:13 pm by Mato, filed under Uncategorized. You can follow any responses to this entry through the RSS 2.0 feed. Comments and pings are currently closed. Not just awesome, pure gold awesome. Awesome beyond dispute. 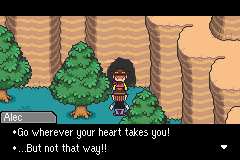 I’d say that the fact that Mother 3 overtook EarthBound in your poll is a testament to your translating skills! It was quite awesome, and professional. 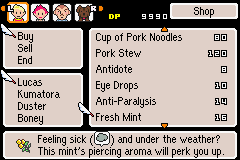 I don’t know about others, but I was really able to connect with it, and found it at least as enjoyable, maybe more-so, as EarthBound. Thanks for the update. I checked this blog every day in hopes of hearing smoe news from y’all, and the day I didn’t check it, you updated. Oh well, it gives me something to do while I’m at work. Thanks for the news! 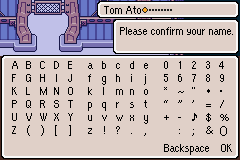 I’ll be checking Earthbound Central. I’m probably going to agree with Cubkyle. 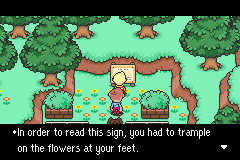 Most people probably wouldn’t like Mother 3 as much if you weren’t go damn OCD and professional about it. I supported your decision to not release eventual patches until the very big one. It felt like we were waiting for the game itself to be released, rather than just downloading episodes of the game. I can say that I’ve been converted into a complete Mother freak. (After all, the world could always use another one, eh?) 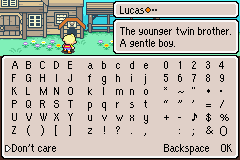 And probably moreso than the Mother 1+2 patch, I’m looking forward to your notes on Mother 3, as well as the unused content section. Keep up the good work. 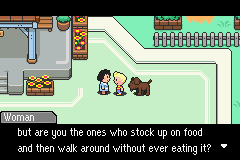 And I’d like to throw out there, that I do check Earthbound Central daily. I really approve of the site. Oh man, posting stuff here sure feels strange now. Feels like forever ago that this project was still underway. 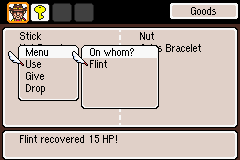 From one of the recent polls on EarthBound Central, it looks like the translation notes is one of the most anticipated things, so I’ll try to get back on that stuff again. I think the next thing I do will be a section about names, since that seems to be the main thing people ask me about now. A DS version would be awesome! It would be pretty wacky if they used your script, though. I wonder if that would be reported as a good or bad thing. I believe that’s the page for the Malay Translation. Geez, it feels like it’s been years since I posted a comment here, time moves fast. I’m pretty surprised at how many people saw this already, I thought I’d be one of the only people to see it after all this time. Heh, I’m getting some nostalgia from posting here. 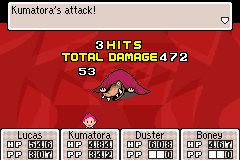 The reason why Mother 3 did better in the polls than EarthBound? I preferred M3 over EB because of the incredibly dark undertone that was in the game, the whole theme of corruption, love, and Porky even missing his “friend”, Ness. 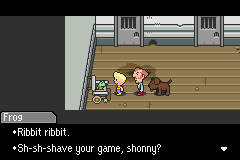 Also, I loved the EB references, and the level of detail that the whole game has to itself. Your translation was as definitely better than any official translation would have been, because you guys love the game so much. 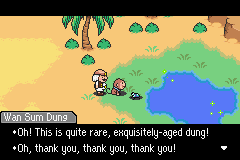 The best thing that could now happen is that Brownie Brown would release a Mother 1+2+3 DS pack, with your translation as Mother 3. God, that would be so incredibly awesome. But what would happen to your M1+2 tanslation? 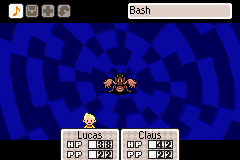 It’d be awesome if Mother 3 was released on the DS here. I would definitely buy it, and it’d also be awesome if they used your translation. But if they do I can see them changing some things, like the swearing, and the sexual harassment line at the retirement home in chapter 4. But…but..the sexual harassment line was the best part. Honestly, I laughed so hard at that. 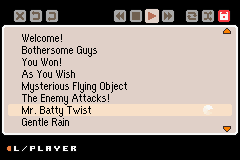 I can only imagine the little fuzzy feeling I’d get if I saw a “Translation: Tomato” line in the credits of a DS M3. 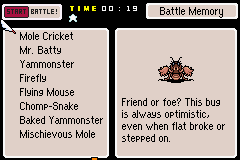 I too liked mother 3 better than EB. It had a better story. 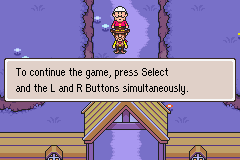 I would totally go bananas over a mother 1 + 2 + 3. Would there be any way to just combine the roms and just make a new menu to make a game like that? because that would be the ultimate ds game. I’ve been holding off and resisting the urge to play it while waiting for 1.1 of the translation patch, thankfully I have plenty of things to distract me. Where’s place to say “thank you”? A has bunch of quest about translation (include question on Russian), but while playn’ i forget about them. “Uh… What you’re insinuating is considered illegal nowadays.” Or something like that. Anyway, I think that Tomato should just send the fan translation NOW. If he waits, then NOTHING WILL HAPPEN. NoA is just going to keep on waiting till “the perfect time,” while great opportunities come and go. It’s better to just give them the rights to the translation and send a letter with it telling them to do what they want with it (even change most of it) and that this year would be a good time to release it. If I were you, I would even tell them to take all the credit if they so desired! Come on, it’s the 20th anniversary of MOTHER! That reminds me, if I ever have to write to Nintendo I will add a postscript suggesting they release MOTHER for VC, in a totally non-bombarding way. ‘Cause as I once said, once someone at NoA says, “Hey, why don’t we release MOTHER for VC? The graphics are on-par with typical NES graphics, the soundtrack is stellar, and we can just call it an import and replace the hippie theme with ‘The Paradise Line! '” the idea will stay in his co-workers’ minds, even if that guy is silenced.